As a mom I am also on the look out for healthy snack for my boys. I find it hard sometimes to find snack that are good for them but yummy enough for them to WANT to eat them. I was excited when I received a variety of Clif Kids Organic Z Bars & Twisted Fruit Snacks for my boys to try. I was thrilled when all three boys said they really like them . I found my 2 yr old preferred the Twisted Fruit Snacks, my 10 yr old liked both and my almost 14 yr old favored the Clif Kids Organic Z Bars. They really did not prefer a specific flavor , they seemed to like them all. I made sure when they opened one I took a little nibble...mommy wanted to try them also LOL. I have to say to my surprise the bars were really moist ! My 10 yr old wanted to know if I can get some more for his school luches.....I said sure ! I am so glad to have found them since school starts next week and packing his lunch will be much easier. Clif Bar & Co.’s emphasis on creating organic, healthy snacks for kids is a natural part of the company’s evolution. Its owners, Gary Erickson and Kit Crawford, are themselves active parents of kids in motion. The genesis for a broad CLIF Kid line began with Kit and other moms at the company who wanted nutritious snacks they could feel good about feeding their children. Real Org anic Fruit (CLIF Kid Organic Twisted Fruit™): Kids need 2-4 servings of fruit each day as an important source of many nutrients. Each Clif Kid Organic Twisted Fruit piece provides a child with one serving of fruit. Kids can pull these fun-to-eat ropes apart or eat them twisted together. Either way, CLIF Kid Organic Twisted Fruit is fortified with nutrients kids need and doesn’t have added sugars, preservatives, artificial flavors and colors. It comes in kid-friendly Strawberry, Sour Apple, Mixed Berry and Tropical Twist flavors. Whole Organic Grains (CLIF Kid Organic ZBaR™): Whole grains, like the organic rolled oats in Clif Kid Organic ZBaRs, are an excellent source of complex carbohydrates, va luable antioxidants and fiber. They fill kids up and help them avoid energy spikes and the crashes that follow. The fastest-growing bar in the kid category, CLIF Kid Organic ZBaR is loved by parents for its low-fat nutrition and appropriate portion size—and by kids for its great flavors. The Clif Kids Organic Z Bars & Twisted Fruit Snacks are a perfect addition to school or home lunches, great for when your kids are on the go, or anytime your kids want a healthy snack. Not to mention it is also a great snack for mom too ! 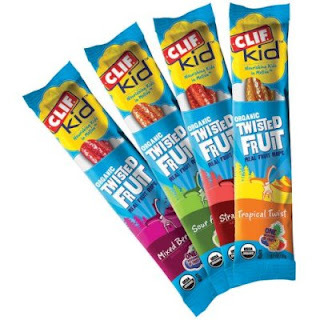 What to try Clif Kids for yourself, Clif Kids is offering 4 of our readers (YES, I said 4) a variety package which will include 2 of each flavor of the Organic Z Bars & Twisted Fruit Snacks (for a total of 24 snacks which is typically considered a 1 month supply). A Variety Package From Clif Kids ! I would love to try the Chocolate Raspberry LUNA Bar and my hubby would love to try the MOJO Mountain Mix bar too! I would like to try the Quench hydration drink in fruit punch and the Luna in caramel nut brownie. The CLIF Mojo Dipped and CLIF Nectar sound great. I think the Mojo Mountain Mix sounds great! The MOJO bar looks yummy! I'd like to try the Clif Quench Sports Drink in Fruit Punch too! I would love to try the Mojo Bar in the "Mountain Mix" flavor. I wanna try the Mojo bars! the white chocolate macademia luna bars looks yummy! I already LOVE LUNA bars, but would like to try their MOJO bars, and there are certain LUNA flavors I haven't tried, like SMORES! Mmmn! It's always nice to have quick healthy snacks around! The Dark Chocolate Walnut Nectar Bar sound good too. I'd like to try the Mojo Mix Bar. I would really like to try the CLIF Limeade. My daughter has add and I know this would be much better for her than soda. I am sub'd to your email. Would love to try the Clif Bar in Pear Apple Strudel and the Luna bar in Lemonzest. Both sound amazing! The sports drink looks good! I'd also like to try Clif Nectar and Clif Mojo! I would also like to tryt he Clif sports drink in LimeAde. I like Clif Bars and mojo bars. I'd like to try the mojo bars. i would love to try the cherry pomegranate nectar bar! I'd love to try the White Chocolate Macadamia Luna Bars! The Clif Quench Sports Drink looks good! Thanks for hosting such a neat & different giveaway! I love the Clif Chocolate Brownie Bar! Wow. I would really like to try a lot of Clif products. The Clif Mojo Bar in Peanut Butter Pretzel sounds so delicious as does the Clif Bar in Banana Nut Bread, Chocolate Chip Peanut Crunch and Iced Gingerbread. This is a great giveaway and I really hope I win. Thanks. 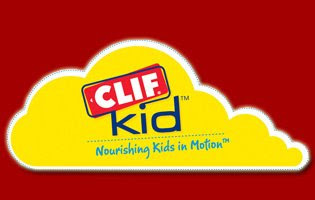 I still have never tried any Clif products, so I'd love to try the original Clif Bar. The chocolate chip peanut crunch sounds yummy! I'd like to try the luna bar. I think that the Banana Nut Bread Clif Bar looks good. Luna Bars are awesome! I would like to try their new flavor, their Berry Almond Bar! 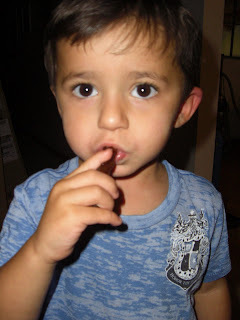 I think my son would like the Mojo bar. Thank you for the contest! I'd like to try the Quench in Lime-Ade. My new kick is Chocolate Raspberry parfait, so I would love to try the Chocolate Raspberry LUNA Bar! I'd like to try the mojo peanut butter pretzel bar! i've always wanted to try the honey roasted peanut mojo bars, i tried one of the other flavors and found it a bit too salty, but the honey roasted peanut would probably be fine. for the most part i have enjoyed every other clif product that i've tried! I'd love to try the CLIF Mojo bars since I like sweet & salty combos! I'd like to try the CLIF quench. I'd like to try Chocolate Peppermint Stick Luna Bar & Lemon Vanilla Cashew Clif Nectar. Would also love to try Clif Quench sports drink! Chocolate Peppermint Stick Luna Bar & Lemon Vanilla Cashew Clif Nectar. Banana Nut Bread Clif bar and a dark chocolate walnut nectar bar. The CLIF Nectar Organic Fruit & Nut bars looks delicious! Id like to try the Luna Bars. I'd love to try the chocolate chip peanut crunch. I'd love to try the nectar bar. Thanks! Mojo bars!Chocolate Chip Peanut Crunch! I would like the CLIF Mojo in mixed nuts. I would like to try the Lime-Aid and Orange drinks.